Beautiful Pembrokeshire. We’re so lucky to live here. History, mystery and myths – and glorious scenery. 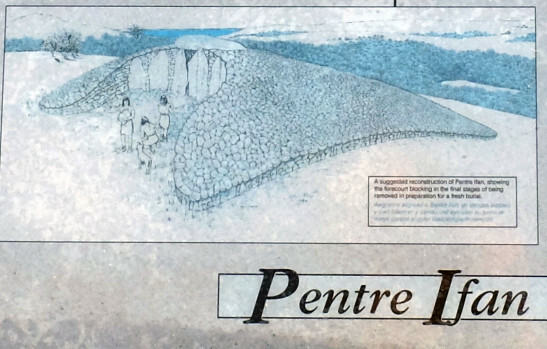 After the group’s successful ascent of Carningli (panorama shot above), the second day of the Silent Eye’s Whispers in the West weekend continued, with a short, further car journey to one of the historic highlights of the trip – Pentre Ifan. 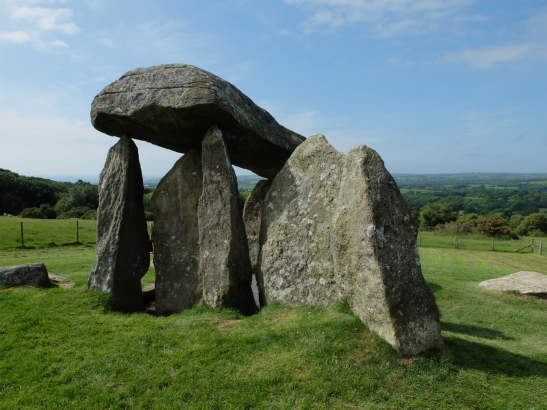 Pentre Ifan is the best known, and because of its height, the most impressive megalithic monuments in Wales. It is believed to be the remains of a chambered tomb for the communal burial of the dead, which would have been used, continuously, for some period before finally being sealed for good. 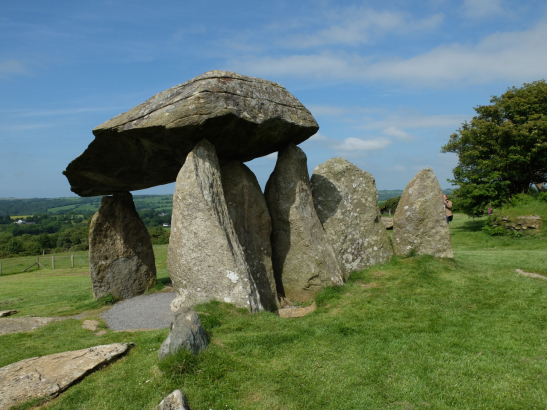 The tomb was erected in the Neolithic age, perhaps as early as 3.500 B.C. The burial chamber itself was once partially covered by a great cairn (see schematic, below), extending well to the rear, but the stones have long since been removed; so it now lacks its original covering.